I wanted to do a quick review on these products which I found as a very helpful tool for the on-the-go girl. 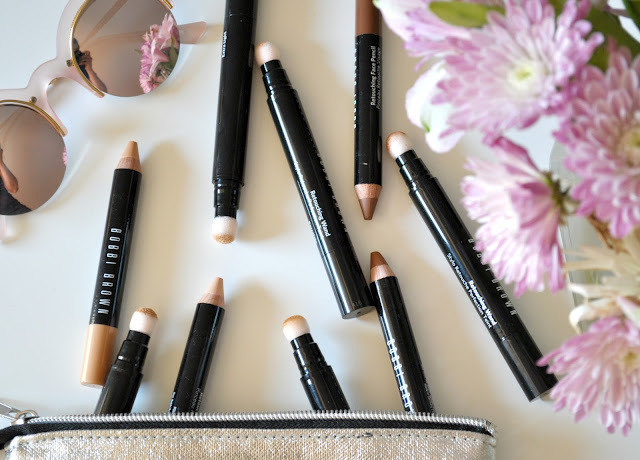 So here is the breakdown, Bobbi Brown has come out with "instant skin -perfecting formulas" in the Retouching Face Pencil and Retouching Wand. -Contouring - use the darker shades for my jaw line and my cheeks. I just draw the lines and with my finger I blend it out and use my blender to make it more seamless. Best part of all these products is they end up matte so it really absorbs well into your skin and on any makeup you already have on. - Under Eye Circles - I have a really hard time covering my dark eye circles and most of all my inner corners of my eyes are very dark. So I take a lighter shade than my skin tone and cover my dark eye circles and inner eye corners. It does wonders and after long wear it does not crack or fade. - Define lips - Use pencil that is 1-2 shades lighter than your skin tone and line the corners of your mouth. 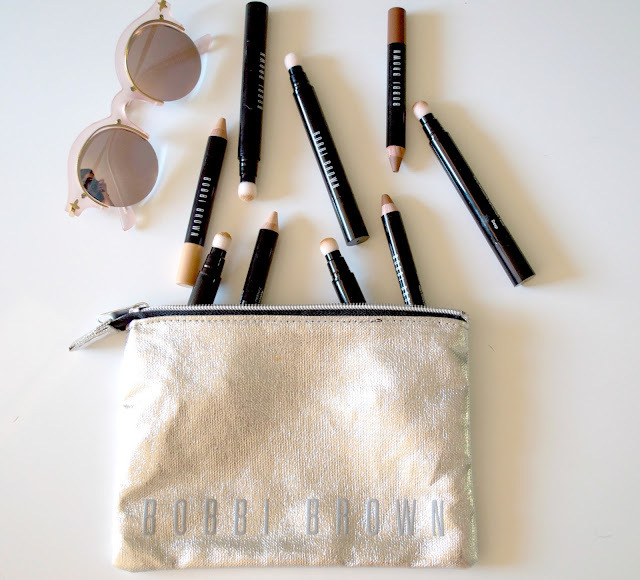 - Highlight - I'm a sucker for highlighters and the Illuminate pencil is subtle but long lasting highlighter on top of your cheekbones and brow bones. Retouching Wand is the other product that I reviewed. This product I have to say I have not used as much as the pencil. I do not have alot of redness or alot of uneven skin. My foundation has always been good about staying on my face BUT there are times when I do not want to wear a full face of foundation. This is when the wand comes in handy. I just dab it with the spongy application all over my face and blend it in with my finger. It goes on smooth and dries matte. It blends it perfectly, if it does not blend perfectly you are using the wrong shade. It has the no-makeup effect which I love for my daily makeup routine. The Retouching Pencil is $32.00 and the Retouching Wand is $46.00.